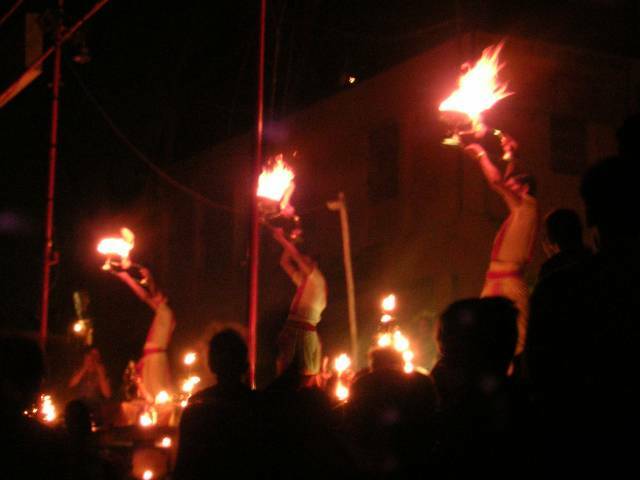 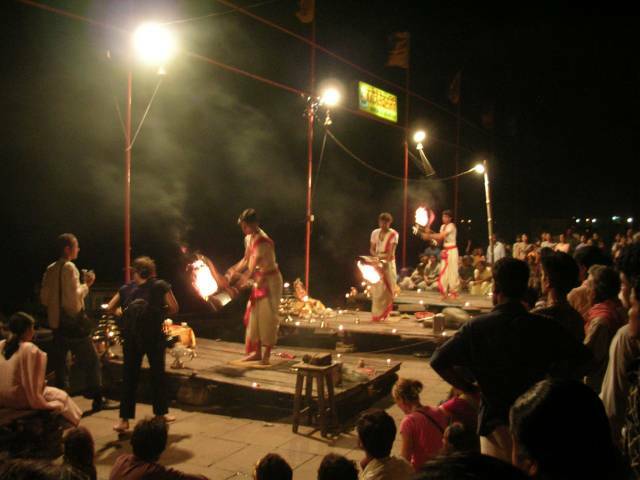 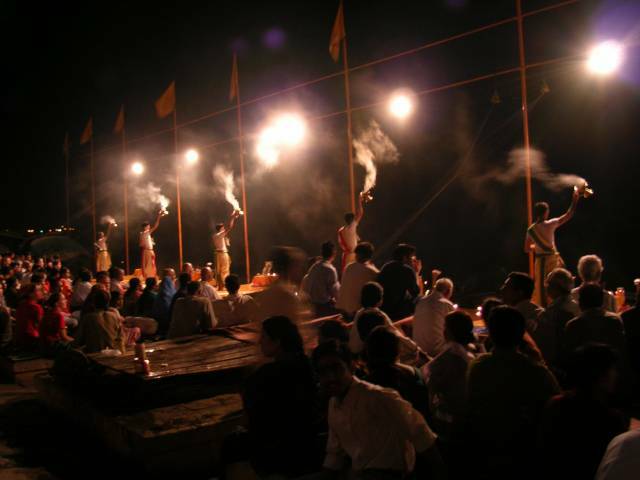 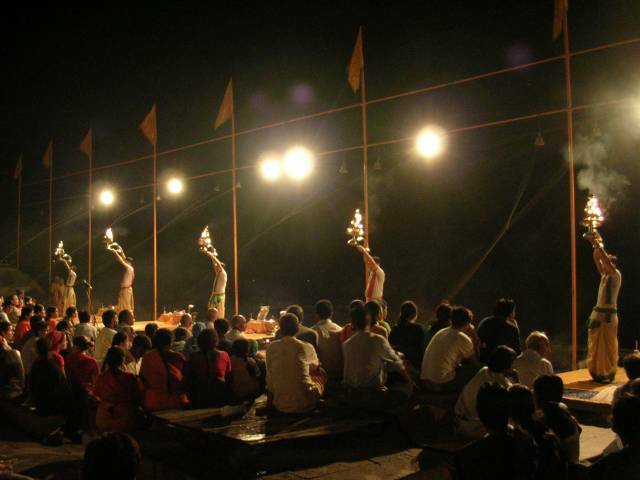 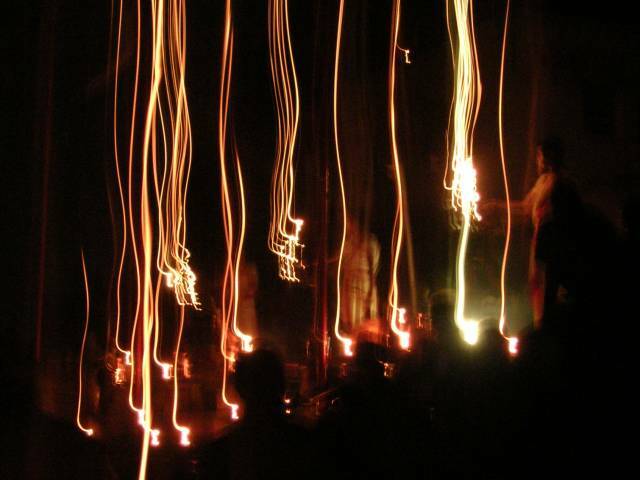 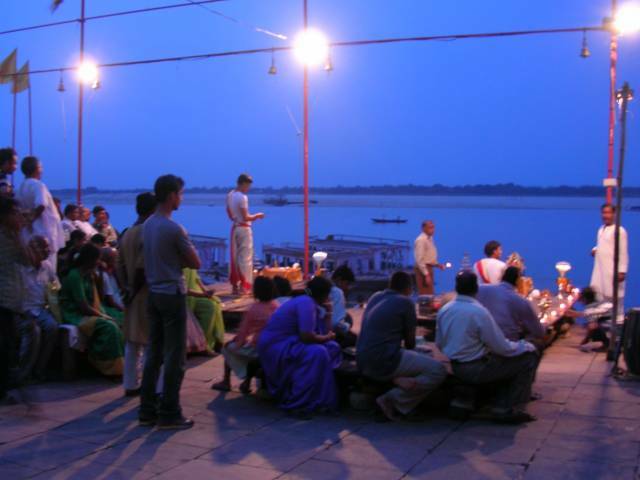 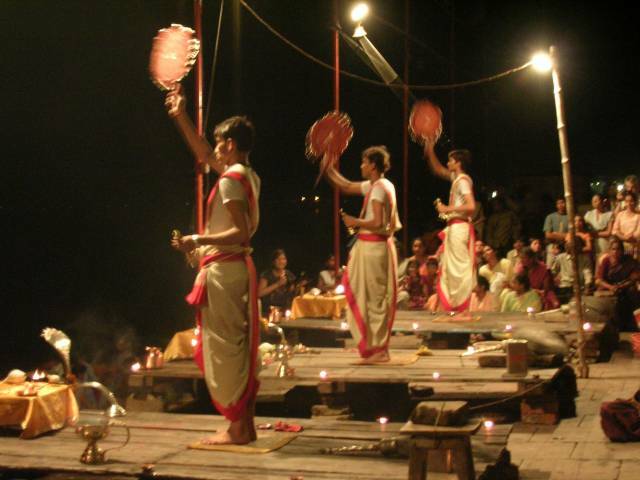 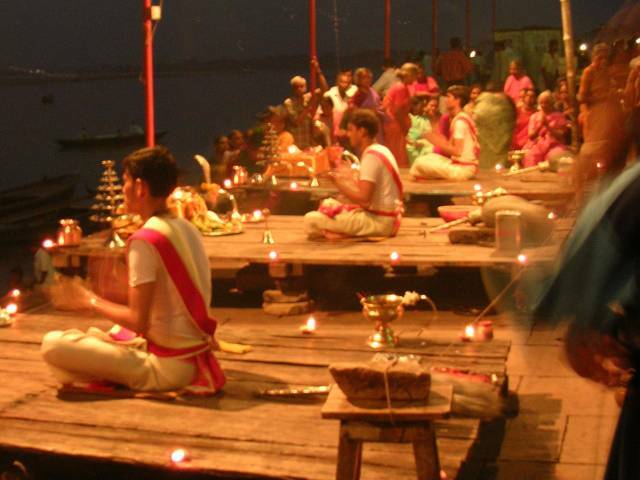 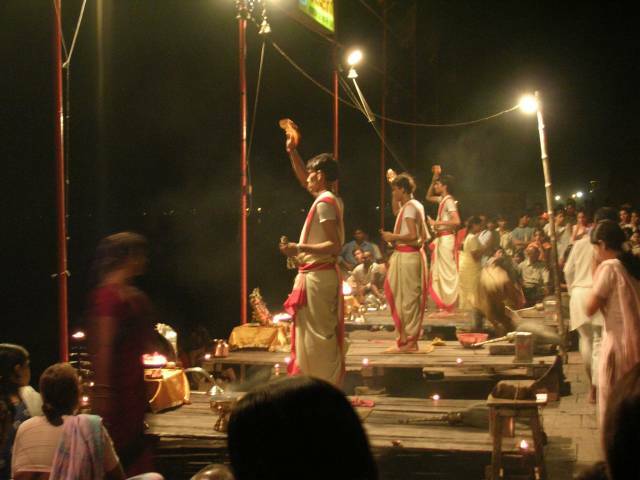 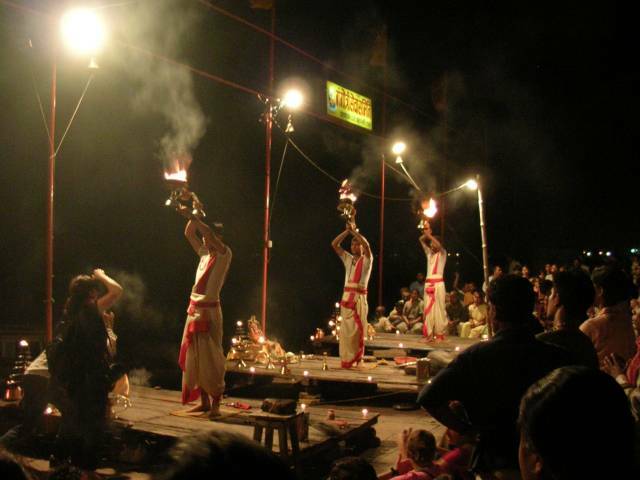 The Puja (Hindus perform on a variety of occasions to pray) of Dashashwamedh Ghat. 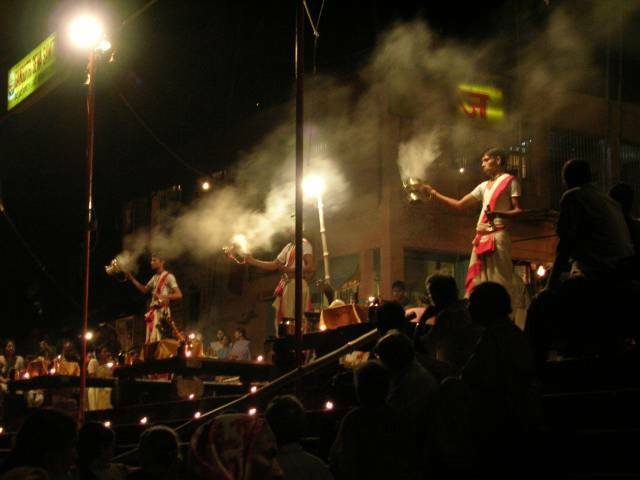 Map of Dashashwamedh Ghat, Varanasi. 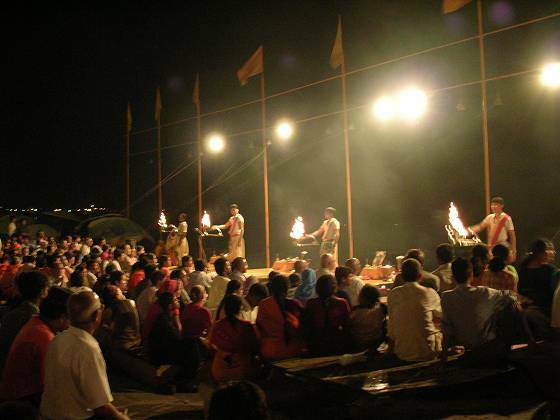 The place of an orange balloon icon at the center is Dashashwamedh Ghat.